In Iran, a bomb attack on a police command post killed at least three people in the restive southeastern port city of Chabahar. State media reported several people were also wounded in the terrorist attack. 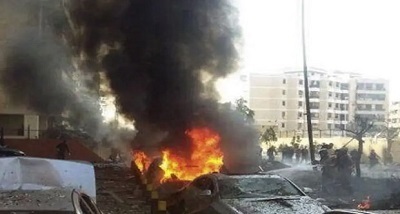 The official IRNA news agency said it was a car bombing. Sistan-Baluchistan province, where the bombing occurred has long been a flashpoint, with Pakistan-based Baluchi separatists and jihadists carrying out cross-border attacks.